A shoulder-backpack is probably overkill if you’re only going to carry your phone, camera, wallet and a couple of other items for a trip to town, while a side-bag or satchel a hassle to access and keep secured on your shoulder. This is where sling-bags come in handy. 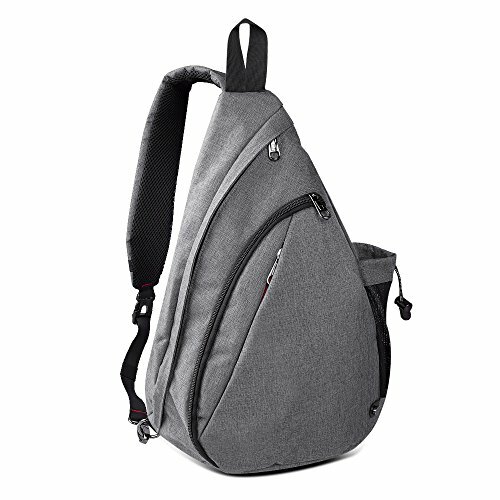 Easier to access and reach into, the best sling-bags let you slip in all your necessities into their capacious interior, hitch them over a shoulder and be on your way, without needing to fumble and grapple with zippers and pockets as you hunt about for your wallet or phone charger. So which sling-bag should you be investing in? Here are our best picks. This unisex bag is perfect for anyone and everyone to throw on for a day’s trip out, or as carry-on luggage when you’re only planning to carry the essentials for your flight. Though compact and unlikely to eat up any space in overhead bag lockers or slung over your shoulder as you ride your bus or train, it’s still roomy enough to let you carry everything you’ll need to access quickly, including cameras, books and even small laptops. The bag features a hidden pocket you can tuck your wallet into which is as simple for you to reach as it is difficult for a potential pickpocket to find, as well as a water-bottle holder and, one of our favourite features, a switchable bag strap that lets you adjust for right-handed and left-handed users. The bag, although light and comfy to carry around with its cross-body design and padded shoulder strap, is made of hardy polyester that’ll easily hold all your equipment as well as resist wear and tear, keeping your valuables safe while you’re on the go. Available in 4 neutral but tasteful colors, this bag is both a practical accessory as it is a stylish one. This D210 nylon knapsack is as enduring as it is breathable to have on, equipped with two larger compartments lined with smaller, internal pockets. The adjustable strap lets you wear this bag as both a shoulder- or chest-bag, padded to ensure maximum comfort while you have it on. Available in a variety of colors, from standard black to bright red or purple, the bag is available in two sizes. The larger option is perfect for fitting in iPads or other tablets of up to 12.9 inches in its biggest compartment, while the smaller size would more comfortably fit tablets of up to 8.4 inches. The smaller compartment of both sizes is perfect for storing your wallet, phone, power-bank, gum and other smaller items. The sturdy nylon of the bag makes it water- and wear-resistant, promising many uses out of it and decent protection of your valuables from the environment. Combining both style and functionality, this bag comes decked out with more internal pockets than you’d imagine looking at its compact, minimalistic exterior design. The bag can be worn as a shoulder-bag or a chest-bag, the strap ergonomically designed to be comfortable and breathable, without leaving you with aching shoulders and backpain after lugging it around for too long. The strap has a pocket you can slip your phone into and connect your headphones through without having to hold the device or jam it where it risks getting tangled inside the bag, while a hidden pocket situated at the back is the perfect place to tuck your wallet and other valuables. The three main compartments of the bag are roomy enough to hold tablets, books, cameras, a change of clothes or a pair of shoes and a laptop of up to 12 inches, making this the perfect accessory to take with you on a day trip. The soft-polyester construct of this bag also makes it incredibly lightweight and durable, resistant against rips and tears as well as water, so you won’t have to worry about your books or gadgets getting soaked through if you’re caught in a drizzle. Although not water-proof, this sling bag, available in three statement colors, are highly durable and convenient, also coming with the option of letting you switch the strap to adjust to whichever shoulder you’re comfortable carrying it on. If you’re looking for something that’s a bit more of a fashion accessory than an expedient sling-bag, or simply a sturdy, aesthetically pleasing option you can stuff a few necessities into as you go off to shop or visit friends, this might be what you’re looking for. Made of 100% cotton canvas and with a whopping 50 pattern and embroidery options to choose from, you can go classic denim or ethnic print or splashes of color with this versatile, stylish sling-bag. 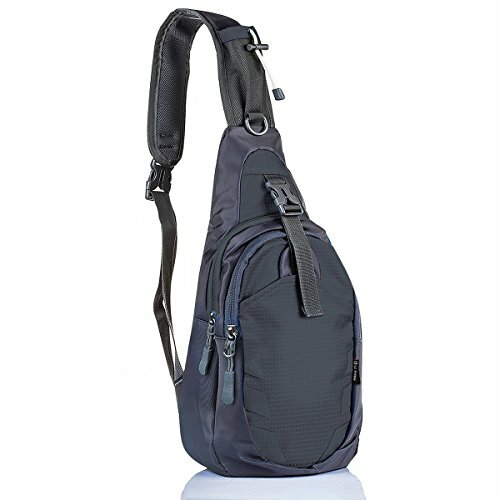 The adjustable strap is fashioned with rope detailing to enhance the rustic appeal of the bag’s look, with a padded back for ease of wear, a spacious main compartment to fit your tablet and other valuables, and three external pockets for any smaller items like your phone or purse you’d like to reach quickly and easily. Sling backpacks might be the most convenient way of carrying a bunch of stuff we’re likely to want to access quickly – money at counters, travel passes at the bus-stop, passports and tickets when we’re queueing up for immigration – but they also need to offer value for money. Cloth bags which tear easily or straps which start to come off under the weight of a few books and a tablet are definite no-no’s. We recommend options made of polyester or nylon – both lightweight, breathable fabrics which nonetheless offer excellent endurance against tears and rips, as well as offering a good measure of water-resistance. Cotton canvas is also a good option, both lightweight and sturdy, although likely to be more difficult to clean than polyester or nylon alternatives. Comfort is another important factor – the last thing you want is a bag that digs into your shoulder-blades and leaves you with a sore back at the end of the day. Look for bags with straps that can be adjusted to suit your girth and comfort, with a padded, ergonomic shoulder grip and back so the item sits cozily against your body. Bags which let you reverse the strap to the other side are also great for lefties, so you can choose to wear the bag over a shoulder more comfortable to you. 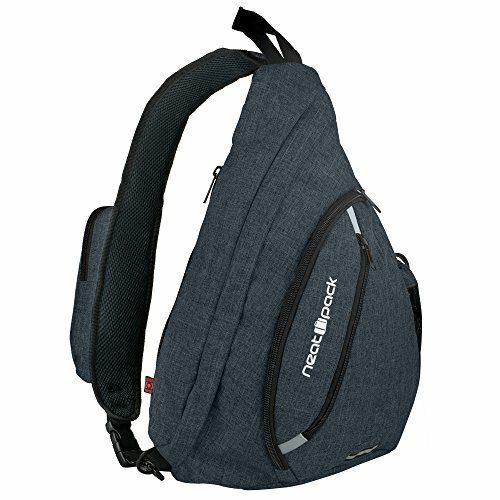 We also suggest looking at how roomy your potential choice is – the best sling bags come with enough capacity to double as a backpack or shoulder-bag, with compartments big enough to fit a small laptop and a couple of books as well as smaller pockets to fit handheld items like phones and purses.